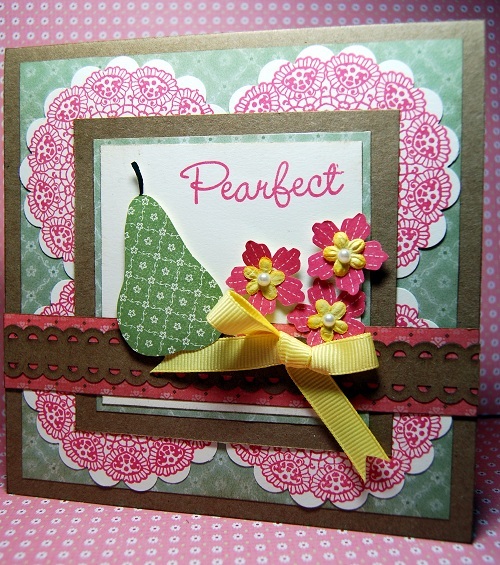 This card was made for "The Sweet Sunday Sketch Challenge #120". I love the lace doily images from our CTMH Simple Memories stamp set and found that punching them out with my 3" scallop punch was a perfect compliment to the image! Love the colors. Mayberry is one of my fav's because of the happy colors. You did a fantastic job on this!